Single Face Satin Ribbon with shiny and lustrous satin on one side, and taffeta material on the other side. 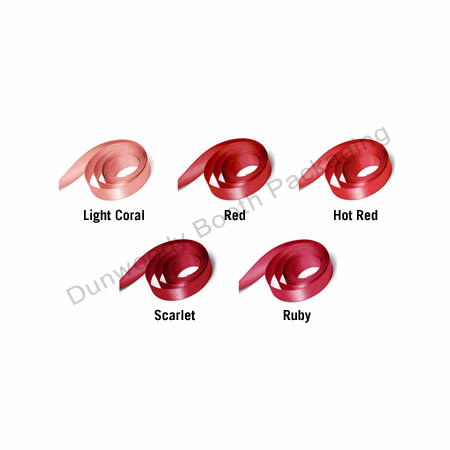 Colour options in varieties of red. Minimum order of $35 required. Can be a combination of any Satin ribbon, Grosgrain ribbon, or Speciality ribbon.